IMECE has organised a Women’s Day Celebration on 6th March at Mildmay Community Centre. The participation to the event was great and 38 women had attended and celebrated their day. The celebration commenced with an opening talk from IMECE’s Director welcoming all women attended the event and wished all participating women to enjoy their day. Lunch was served and traditional Turkish music was played and all participants danced side by side. The event finalised with a Zumba session which the participants very much enjoyed. 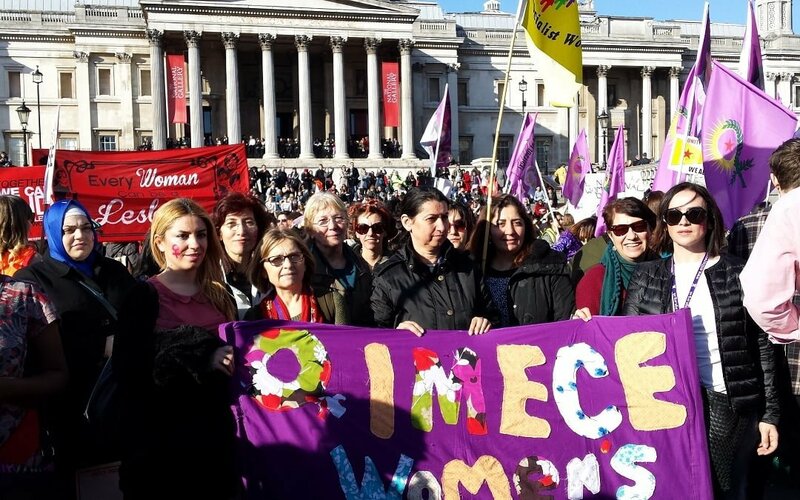 IMECE staff, volunteers and users has taken part at the Billion Women Rise March and enjoyed solidarity with hundreds of women and celebrated the International Women’s Day.